Apple Trees In Blossom Near The Rural Fields. 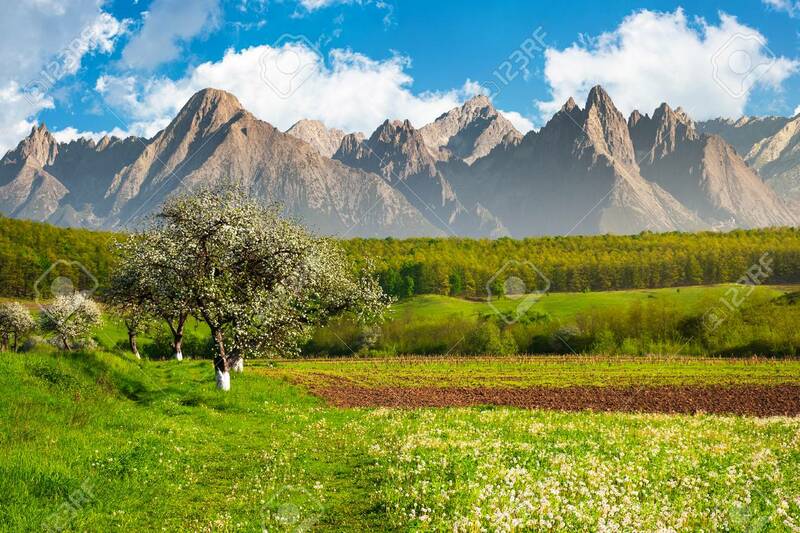 High Mountain Ridge.. Stock Photo, Picture And Royalty Free Image. Image 113787339.